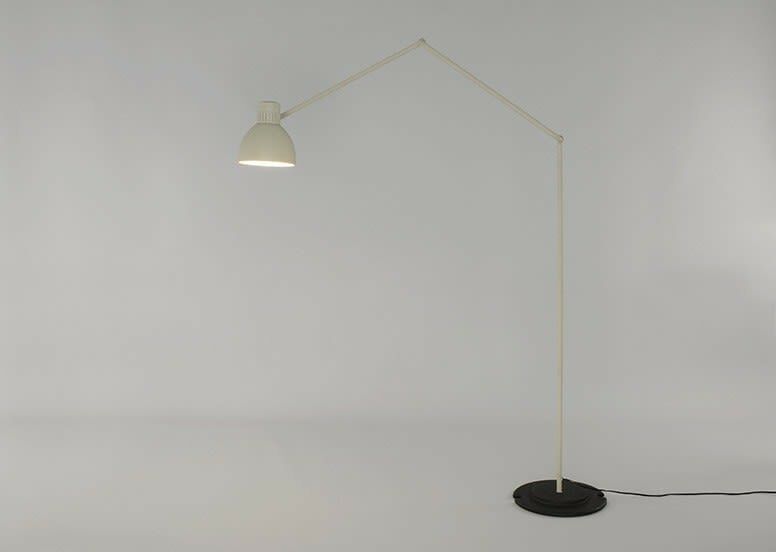 Articulated floor lamp designed in the late 70s in the style of the English school. The simplicity of its forms is reflected in its friction swivel joints and aluminium shade. Finishes: black, red or beige (all satin). Screen with a satin white interior. Available in two sizes.